SAINT LOUIS, MO.- There are giant names in chess that everyone knows like Fischer and Spassky. Then there are players that devoted fans trade stories about like Carlsen and Nakamura, Petrosian and Keres. And then there are chess figures that were exceptionally important for a moment in time and deserve to be in the spotlight once again. Jacqueline Piatigorsky was a chess legend who dedicated much of her time, talent and resources to promoting the game that she loved during the 1950s-80s. A new show at the World Chess Hall of Fame (WCHOF) titled Jacqueline Piatigorsky: Patron, Player, Pioneer uses artifacts from her archive to tell the story of her fascinating life and fantastic achievements in the world of chess. The objects are part of a generous donation to the WCHOF from the Piatigorsky family. Born in Paris to the Rothschild banking family, Jacqueline Piatigorsky learned chess at an early age. Though she had many interests including art, music, and tennis, chess was one of her main passions. She described it in her memoir Jump in the Waves as “part of her blood.” After immigrating to the United States, Jacqueline rose to the top of the field of American women’s chess. 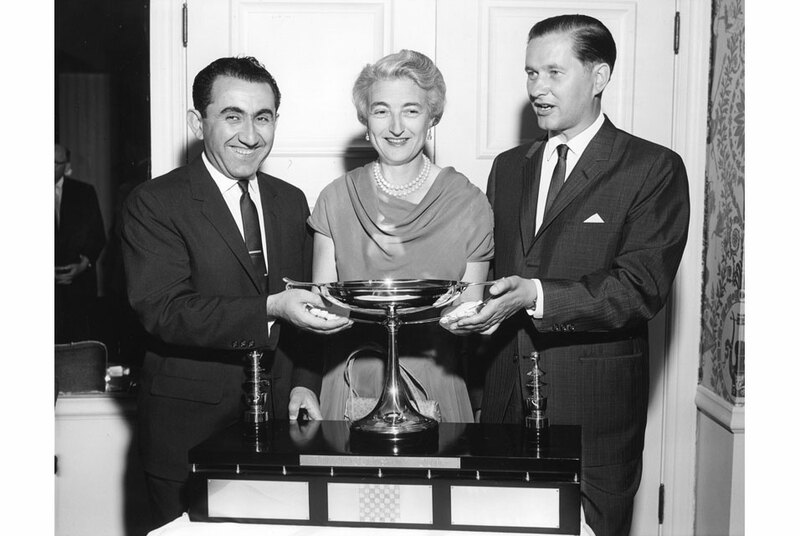 Her enthusiasm for the game also led her to establish the Piatigorsky Foundation, one of the first philanthropic organizations devoted to chess in the United States. The Foundation supported chess activities on the local level, but was best-known for its organization of the Piatigorsky Cup tournaments, in which the top players of the era, including Bobby Fischer and Boris Spassky, competed. “Mrs. Piatigorsky was a gifted player, but she perhaps made an even larger mark on the world of chess through her philanthropy. We feel incredibly honored to partner with her family to show these amazing objects, many that have never been publicly displayed,” said Shannon Bailey, WCHOF Chief Curator. The exhibition includes artifacts such as the Piatigorsky Cup trophy, which features a beautiful sterling silver cup created by Tiffany & Co. in 1963 as its centerpiece. The trophy is displayed alongside personal chess-related items belonging to Mrs. Piatigorsky, images of tournament play, rare artifacts from the first Women’s Chess Olympiad, and objects related to the progressive Piatigorsky Foundation. Additionally, the exhibition features interesting artifacts related to inductees to both the World and U.S. Chess Halls of Fame. “Among the notable female figures in the chess world, Jacqueline Piatigorsky stands out as an exceptionally gifted player as well as a generous and influential supporter of the game in the United States,” Bailey said. Jacqueline Piatigorsky: Patron, Player, Pioneer opened at the WCHOF on October 25, 2013, and will run through July 13, 2014. Visit www.worldchesshof.org for additional information.